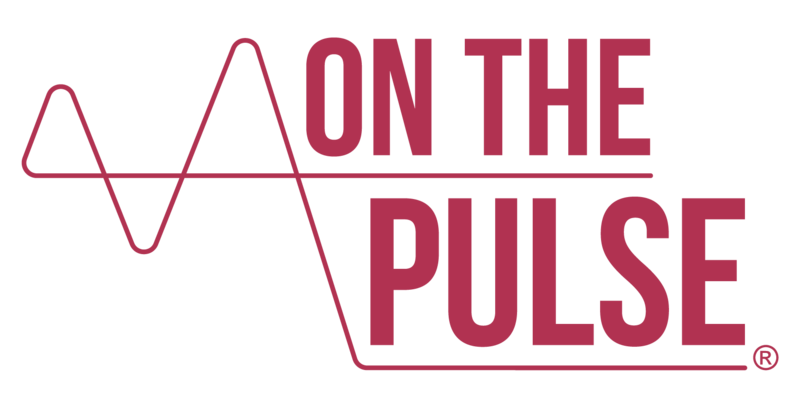 Posted on August 28, 2018 September 20, 2018 On The PulsePosted in Factor This! After a short mid-summer break from our Factor This! blog series, our latest edition for August has landed. We’re very pleased to have in this month’s hot seat, a definitive titan of the global bleeding disorders and biotechnology communities – Dr. Glenn Pierce. Glenn has not only been at the epicentre of haemophilia activism for near on four decades, but a pioneer of potentially life-changing treatment innovation in bleeding disorders research. His portfolio is one of academic, scientific and advocacy distinction. 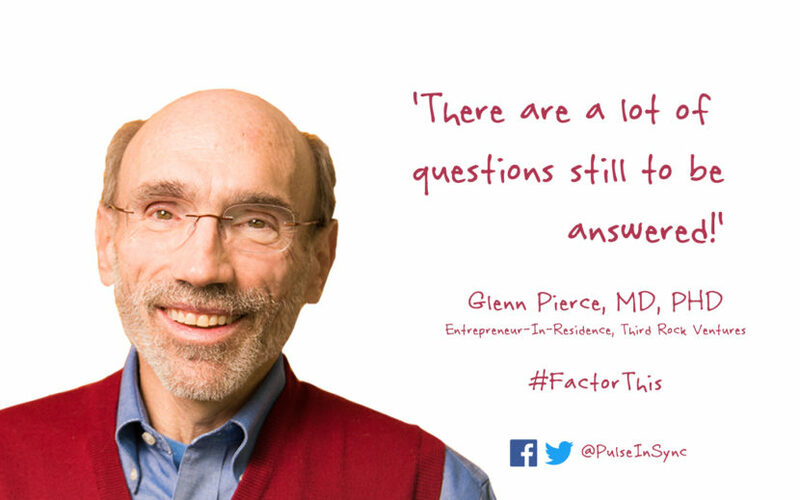 Having completed his doctorate in immunology and postgraduate training in pathology and haematology research in the US by 1988, Glenn pursued a prominent career at several multinational biotechs; leading on the research into new discoveries related to tissue regeneration, haematology, cell and Gene Therapies. He has co-authored more than a staggering 150 scientific papers and been awarded over 15 patents in several areas from drug delivery to clotting factors. Simultaneously, Glenn served on the Medical and Scientific Advisory Council, the Board of Directors and was President of the National Hemophilia Foundation (NHF) variously over this time. He was recently elected to Vice President, Medical for the World Federation of Hemophilia (WFH) and has been absolutely pivotal to the organisation’s humanitarian aid efforts in the developing world. 1) Glenn, first off, please can you give us a picture of your childhood living with haemophilia? Up until the age of 12, I was receiving minimal treatment of fresh frozen plasma. It didn’t work very well in controlling bleeding episodes. The bleeds into my joints would cause so much swelling, that it would take weeks for them to get back to relatively normal function. Eventually they didn’t. As a result of repeated bleeds like this, I had many target joints in childhood; both ankles, one knee and one elbow. All had restricted movement that led to replacement of two joints a few years ago. By the time I was in seventh grade – aged around 12 – I was confined to a wheelchair. I was home schooled for a year because of all my bleeding complications. 2) Did your standard of care improve over time? Everything changed around the mid- to late-1960s with the development of cryoprecipitate or cryo. It was a miracle! It could stop the bleeding almost instantly because there was enough clotting factor (F)VIII concentrated in the cryo, to help form a clot and ‘plug up’ the wound to allow healing. Whereas before, with plasma, there wasn’t sufficient quantity of FVIII or FIX in the circulation to be effective. In an effort to control bleeding, there was a risk of receiving too much plasma, with the consequence of possible congestive heart failure… when the heart can’t pump enough blood! 3) Was the switch to CFC immediate? I didn’t start using them until I was 21. This was relatively late compared to my peers in the U.S.
Dr. Ratnoff had serious doubts about the safety of a product that was pulled from such a large number of donors. 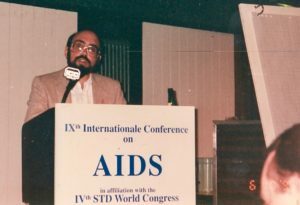 He was one of the few in the community to raise his concerns about the risk of transmission of viruses, including hepatitis and what we know today as HIV. I now realise how prescient he was in being aware that this could be a major problem. Unfortunately, he was proved right! 4) How comes you still went onto use CFC? When I was 19, I recall having a bleed on a long road trip from Cleveland to Florida. I had to make an emergency stop in Atlanta. I spent a whole day there just to get a dose of cryo. Having CFC that I could take with me, anytime and anywhere, was life-changing! This was even more necessary as I was just going off to graduate school in New York. CFC gave me much more choice in what I wanted to do with my life. It enabled me to get through medical school with no disruption to my studies, my coursework and my new clinical responsibilities. 5) It’s as if haemophilia chose your career path… would you agree? Yes! For me, studying medicine was the obvious choice. This was because, from early on, I had already decided that I wanted as much control over my condition as possible. I also started doing research in my paediatrician’s lab, then enrolled in a programme combining medical school with research. It turned out that I loved research a little more than seeing patients, and I pursued more of a research career after my clinical training. 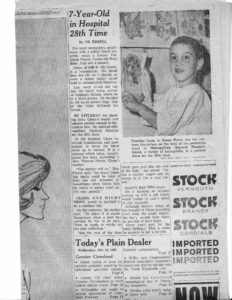 I also began volunteering with the haemophilia chapter in Ohio. By the time I finished medical school, I had been elected as president. 6) What was most significant for you during this period? A lot of valuable lessons were learned from the contaminated blood crisis.4 We didn’t really understand what went into making CFC. Even our physicians and those working in industry didn’t know everything about how this drug was made. We certainly found out during the course of what was, quite categorically, a terrible onslaught of death and destruction, that up to 120,000 donors could contribute to one batch of CFC. All it would take was for one donor to be infected with Hepatitis B virus, Hepatitis C virus, and/or HIV, to contaminate the whole lot. Consequently, these diseases could be transmitted to most people treating with the products through the mid-1980s. By the time HIV was identified in the haemophilia community in 1982, pretty much every batch of clotting factor was contaminated. It took its toll on the community and I lost many, many friends as a result. 7) Where did your research activities take you? My career in biotech happened serendipitously. It was fascinating work! We did some great studies and published lots of papers, and really made some advancements in the field. This was a new era and the start of biotech, and I decided to make it my career. To be able to take what we know about DNA and create new proteins in large fermentation vessels in tissue culture, and then see if these proteins could help benefit people who otherwise had untreatable diseases… it was all pretty neat stuff! 8) Was it a natural progression into haemophilia research from here on? Moving to California in 1988, I combined volunteering with NHF, whilst continuing with tissue regeneration research. I went on to become president of the NHF during its most difficult years dealing with the AIDS crisis in the early 1990s. That occupied a significant amount of my time; not only my time but my creative thought as well. By the early 2000s, my passion was all things haemophilia. 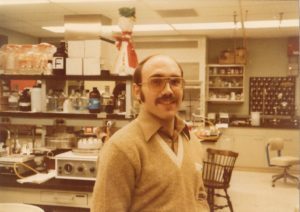 I was offered the chance to lead the development of a haemophilia gene therapy in the San Francisco Bay area… I never looked back! 9) So, on the subject of gene therapy, do you believe this is a viable treatment option? I’ve had the privilege of working in a few different areas of gene therapy and currently consult for some of the commercial companies trying to bring it to market. There are a lot of questions still to be answered about this brand-new modality: exactly how it functions, why it works and for how long. But we don’t need all of these answers before they’re licenced – potentially in the next few years – providing their safety profile continues to hold up. It will be important, as this field advances, to make improvements in the technology, so second and third generation gene therapies will be even more effective. 10) Which clotting factor level would be acceptable for a gene therapy? And for how long can it last? I think everyone has a different idea of how high is high enough for a factor level to reach. Personally, I think we should be shooting for the normal range, so 50-150% for both FVIII and FIX. It’s a margin that is effective in controlling all bleeding under any circumstances, including surgery. How long will it last? I don’t think we know yet. The longest time people have been treated for is about 8 years, in a trial that commenced around 2009. They’re still continuing to express some FIX activity, which is a good indication of its longevity. We know from haemophilia dog studies that it will last the lifetime in the dog model, so about 10 to 12 years.7 But it remains to be determined in humans. 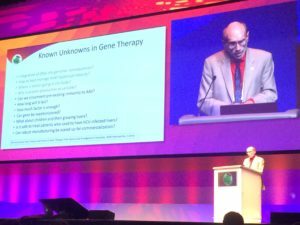 Many known and unknown questions remain about gene therapy – Glenn seen presenting these at the WFH 2018 World Congress in Glasgow, Scotland. We’ve witnessed so much technological innovation in the last 50 years! I had the opportunity to lead the development of the first extended half-life (EHL) CFC for haemophilia A and B. This was very exciting and rewarding to see many people with haemophilia benefitting from them these last several years. Now we’re moving into an era of non-clotting factor replacement therapies. They look like they could be of tremendous benefit, not only to people with inhibitors – where FVIII or FIX concentrates aren’t effective – but also to those who have haemophilia only. We’re looking at going from every other day or twice weekly injections, to potentially monthly intervals, which is a huge change in treatment burden. These can be subcutaneous, so no longer requiring repeated intravenous injections. 12) This, we know, won’t necessarily apply to everybody with haemophilia… could you tell us more about the WFH Humanitarian Aid Programme and how it’s growing? The WFH has been benefiting some people with haemophilia in the developing world since the late 1990s, notably in emergency and crisis situations, or for those requiring immediate surgery. However, it wasn’t until 2015 that we initiated a much larger, expanded Humanitarian Aid Programme. Three years prior to this, whilst I was still working at Biogen, my colleagues in senior management came to a WFH meeting. They saw for themselves the huge disparities between those who have access to treatment, and those that don’t. Biogen and its partner SOBI committed to provide 1 billion international units (IU) over 10 years to the community.9 They have agreed to provide the WFH 500 million IU over five years between 2015 to 2020, to use where needed. 13) What type of impact is this donation making on the ground? The WFH has been in about 60 countries and we’ve distributed about half of the donated product up to now. There are also many training programmes to teach the physicians how to use it with the patients and their families. We’re treating about 16,000 individuals a year with these products for mainly on-demand use. We also offer low-dose prophylaxis, especially with children to see if we can prevent some of the joint damage that occurs early on. Furthermore, we’ve been doing 500-800 corrective, mostly orthopaedic surgeries per year to help mobilise people with considerable joint damage resulting from no treatment. This is all really a stepping stone to get countries accustomed to using treatment in the right way. At the same time, encouraging their governments to start putting more resources into haemophilia treatment centres, including the purchase of affordable products. 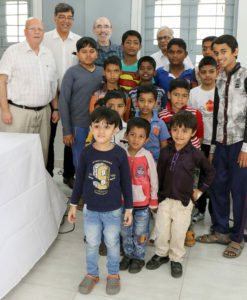 Glenn with Dr. Assad Haffar, Director of the WFH Humanitarian Aid Programme (far left), visiting Dr. Shashi Apte, Haematologist (left of Glenn) with some of the children benefiting from the programme’s donated clotting factor in Pune, India. 14) We heard from Mark Skinner in our last feature about his vision of ‘Treatment for All’… are you optimistic that this, one day, could be a reality? Well, actually, the Humanitarian Aid Programme could be a prelude towards the use of gene therapy in the developing world. Populations are growing at such a rate in these countries, that I don’t think it will be possible to supply sufficient clotting factor protein coming from recombinant DNA manufacturing, to meet their demands. Or at least to get them to treatment standards that are anywhere close to what we’ve got in Europe and North America. Something different has to happen. Whilst we continue using donated CFC, we must determine how best to integrate a disruptive technology like gene therapy over the next 10, 15 or 20 years. This could be a once and done treatment. The individual will no longer have severe haemophilia, allowing them to be much less dependent or completely independent of CFC. If we want to make the kind of changes we believe are needed, effective and sustainable, then surely this has to be the goal in the developing world! What a powerful sentiment to end with and a new direction of hope for many! It’s been an absolute pleasure to have Glenn be part of our series and give us an essence of his remarkable contribution to haemophilia, both personally and professionally, and the difference he continues to make in the lives of those affected around the world. 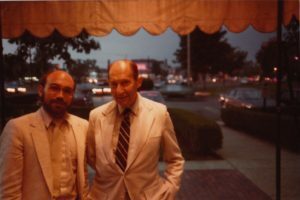 In 1964, Dr. Ratnoff with his biochemist colleague, Earl Davie, at Case Western Reserve University, were able to isolate several of the blood proteins involved in coagulation, known as factors, and thereby helped unravel the biochemical sequence, coined the waterfall sequence or waterfall cascade, that leads to effective clotting. For more information, check out the article entitled, Oscar D. Ratnoff: Champion of Clotting (Gerson SL, et al. The Hematologist 2008;5:1). Marilyn Ness’ film Bad Blood: A Cautionary Tale chronicles the tragic events of the contaminated blood crisis in the US, told through the eyes of survivors and family members. Genentech feature in the wonderful editorial published by the Life Sciences Foundation – now the Science History Institute – entitled, ‘The Race to Clone Factor VIII’ that tells the story behind the first genetically engineered version of clotting FVIII. To learn more about the advancements in haemophilia gene therapy, read the freely available review paper entitled, Past, present and future of haemophilia gene therapy: From vectors and transgenes to known and unknown outcomes, co-authored by Glenn Pierce (Pierce GF, et al. Haemophilia 2018:24:6;60-67). The haemophilia dog model and development of gene therapy was discussed in our first feature of the series with Dr. Katherine A. High, President and Head of R&D at Spark Therapeutics. Read more here. A concise overview of the disruptive technologies in haemophilia – technologies that are completely different – is available to read here (Makris M, et al. Haemophilia 2018:24(2);175-176). Laurie Kelley, who featured in this series, wrote a fascinating narrative about the ground-breaking humanitarian donation by Biogen and Sobi in the Parent Empowerment Newsletter (PEN), published by LA Kelley Communications. Read it here. A freely available, comprehensive summary of the expanded WFH Humanitarian Aid Programme for haemophilia was published earlier this year and co-authored by Glenn Pierce, entitled, First-year results of an expanded humanitarian aid programme for haemophilia in resource-constrained countries (Pierce GF, et al. Haemophilia 2018:24;229-235).